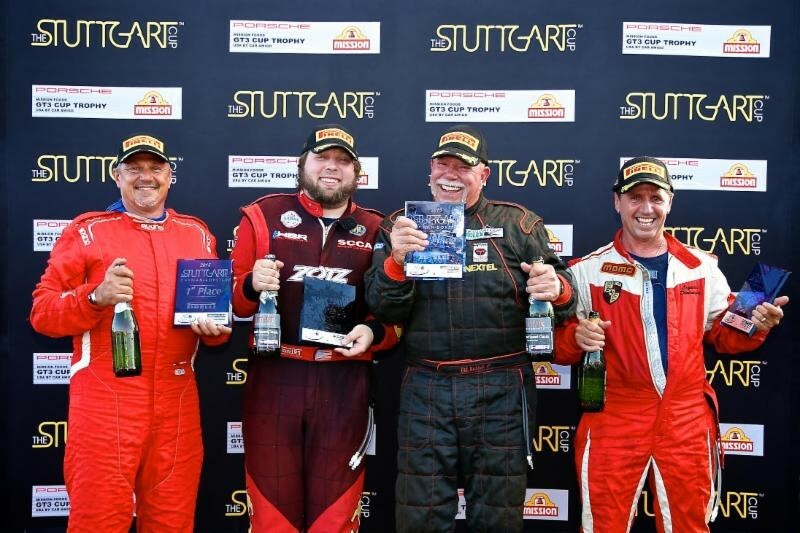 Stavola Closes on The Stuttgart Cup Championship Lead with Pair of Victories; Burnstein Earns First-Ever Mission Foods GT3 Cup Trophy Victories. 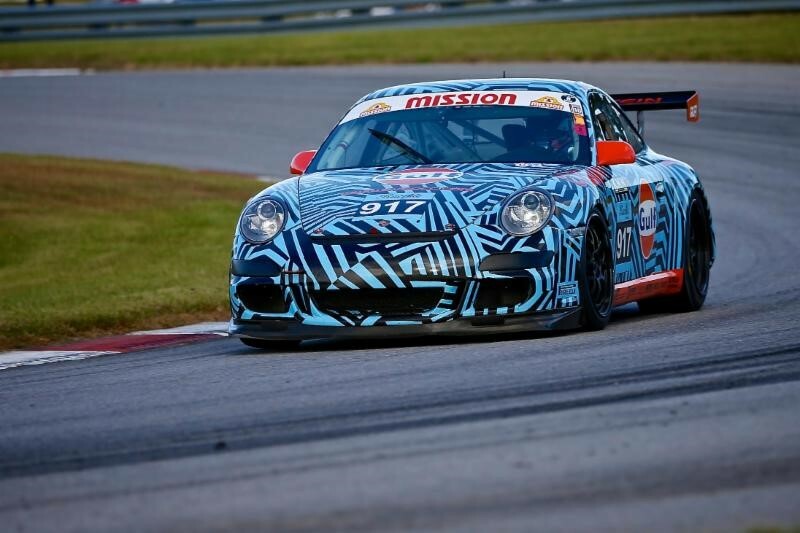 Rick Stavola and Linden Burnstein each scored their first race-win sweeps in The Stuttgart Cup and Mission Foods GT3 Cup Trophy USA competition at the Savannah Speed Classic where both drivers went two-for-two in Saturday’s BRM Chronographes Enduro and sprint race. Stavola closed the gap on Stuttgart Cup points leader Dominique LeQueux as he swept a Stuttgart Cup weekend race schedule for the first time in his black No. 22 Bodymotion Cayman S prepared by Racelink. Stavola led LeQueux’s No. 30 MOMO-themed Cayman S, which is prepared by Atlanta-based Goldcrest Motorsports, across the finish line in the one-hour BRM Chronographes Enduro in Saturday’s first race. Stavola then stayed in front of runner-up Bill Riddell to take the seven-lap sprint race later on Saturday afternoon. LeQueux finished third in the sprint to leave Savannah with solid championship points, but this weekend marked the first event this season in which he didn’t win at least one race. Riddell, who also finished third in the Enduro in addition to his sprint runner-up placing, stayed in the title hunt with his own pair of podium finishes in his black No. 05 Cayman S prepared by Racelink. Burnstein’s sweep in his No. 917 KMW Motorsports Porsche 997 GT3 Cup car also marked his first victories in Mission Foods GT3 Cup Trophy competition. He co-drove with Jonathon Ziegelman to win the Enduro and then soloed to class and overall honors in the sprint. As he did at Road Atlanta, Ziegelman pulled double duty in the Enduro. He helped Burnstein take the win in the No. 917 and then co-drove his own No. 911 KMW Motorsports Porsche 997 GT3 Cup car to runner-up honors in the same race with his father Allan Ziegelman. John Reisman also scored a podium finish at the Savannah Speed Classic, finishing third overall in The Stuttgart Cup in the sprint and taking Boxster honors at the wheel of his Hudson Historics No. 70 3.4-liter Boxster. Tom Kievet, co-driving with Stuttgart Cup/Mission Foods GT3 Cup Trophy driving coach Shane Lewis, was fourth in the Enduro in his No. 27 Bodymotion Cayman S prepared by Racelink. 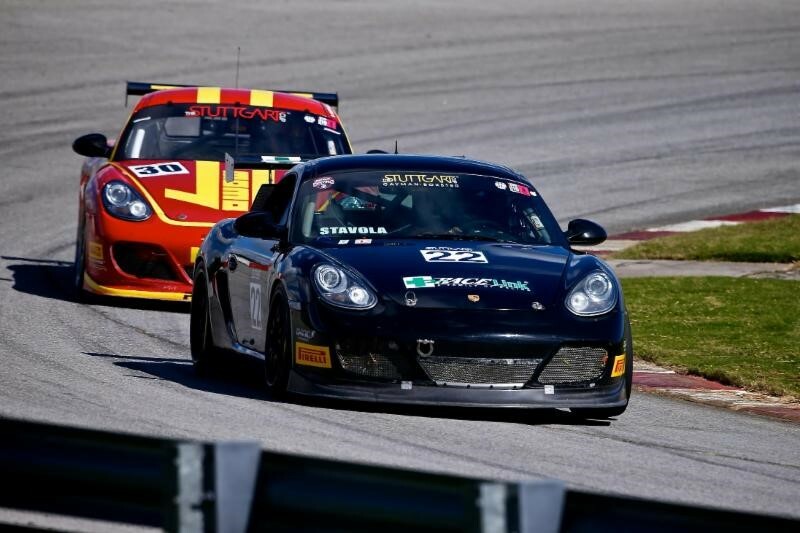 Debuting Stuttgart Cup driver Peter MacMillan focused only on Saturday’s sprint for his series race debut and came home a solid fourth in the Cayman class in his No. 35 Cayman S prepared by the 901 Shop. Top Pirelli World Challenge (PWC) Cayman competitor Jack Baldwin also brought his GTSport Racing No. 73 PWC-spec 3.8-liter Cayman to Savannah and finished a solid fourth overall in the Enduro. He was also honored as the top Stuttgart Cup Cayman finisher although he was not competing in the same class as the 3.4-liter Caymans. 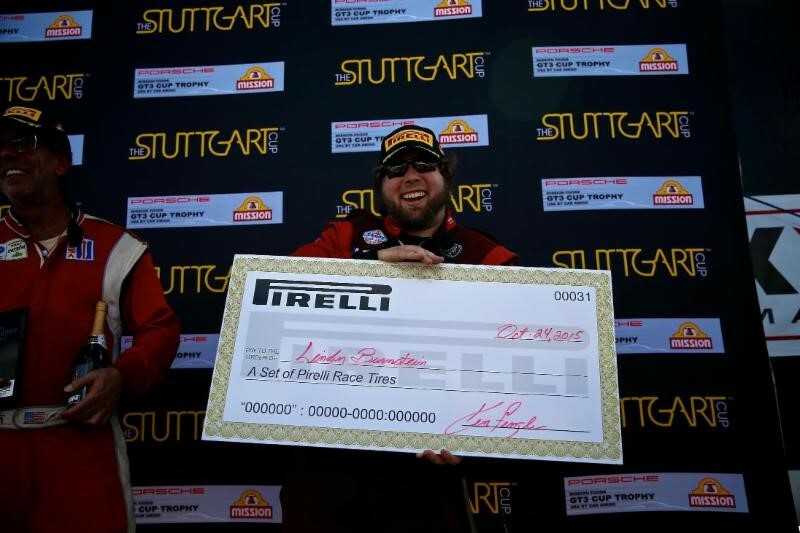 The weekend’s Pirelli Tire Award went to Burnstein who received a full set of four Pirelli P Zero racing tires. America’s GT Cup, the operating organization of The Stuttgart Cup and Mission Foods GT3 Cup Trophy USA, will announce its 2016 schedule of events this coming Tuesday. The calendar will include both Porsche-based series as well the schedule for the first full season of the recently announced Maranello Cup, which will showcase previously eligible Ferrari Challenge race cars. The Stuttgart Cup and Mission Foods GT3 race with the support of America’s GT Cup series partners Pirelli Tire North America, BRM Chronographes, Pacifico Costa Rica, Mission Foods, VP Racing Fuels, Palm Beach Driving Club and Bob Woodman Tires.